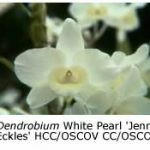 The cool-growing soft-cane dendrobiums are typified by Dendrobium nobile, the ‘noble’ dendrobium, which is found in northern India, southern China and the hilly areas of Thailand, Laos, Vietnam and Burma. 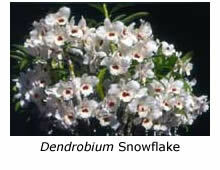 It has pink petals, pink sepals and a creamy yellow labellum with a distinctive purple throat. 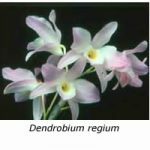 The list of soft-cane dendrobium hybrids is quite extensive but they can be classified into two types, the ‘English’ and the ‘Japanese’. The early English hybrids, such as D. Lady Colman, D. Felicity and D. Cybele, were bred mainly from D. nobile, D. nobile var. virginalis and D. findlayanum, another attractive cool growing species. 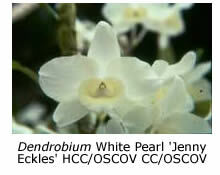 These hybrids have mostly pink or mauve flowers, although some are cream, yellow or white. The ‘Japanese’ hybrids, developed by Yamamoto in Japan, tend to have larger, more colourful flowers, often with a plain labellum and without the characteristic ‘eye’ of D. nobile. 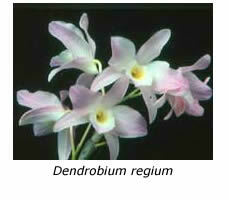 These hybrids, a further development of the earlier English types, incorporate genes from D. regium, a species with pink to rose purple petals and a cream labellum. Some of the proven Japanese hybrids are D. Malones ‘Okayama’, ‘Fantasy’ and ‘Emperor’, D. Golden Blossom ‘Kagame’ and ‘Sunset’, D. Atatuki Queen and D. Yukidaruma ‘The King’. Growing Conditions. A warm, sunny spot facing north is probably the best location. The plants require bright light over summer to develop and mature the new season’s canes, and then a definite rest over winter to promote flowering. As with many of the orchids from southern and eastern Asia, their growth and flowering habit reflect the monsoon influence, which produces strong growth in the warm-wet season, followed by flower production during the cooler-dry season. If the plants are kept wet during winter, the flower buds are likely to produce ‘keikis’ (Hawaiian for babies) rather than flowers. 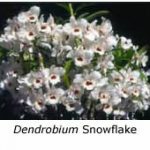 Soft-cane dendrobiums should be shaded during the summer months (50% shade cloth) but need maximum light during autumn and winter. Some growers hang their plants outdoors in a sunny spot during autumn to mature the canes. Under these conditions the leaves become yellow-green with cessation of growth being indicated by the development of a small two-leaf growth at the tip of the cane. Removal of these leaves sometimes stimulates flowering. 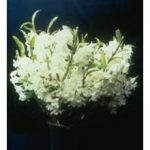 The plants can be grown in a pot, on a slab of wood or tree fern, or in a basket. They require excellent drainage and will “sulk” in a wet, soggy compost. If they are grown in pots, root problems due to a wet, soggy compost can be avoided by ‘under-potting’. I prefer small pots and a potting mix of medium-sized pine bark and washed river pebbles/coarse gravel. However, the composition of the mix is not critical, provided that it is open and long-lasting, so that mature plants can be left undisturbed for three or four years. During summer and autumn water the plants regularly and thoroughly. Potassium-rich fertilisers can also be applied at this time but discontinue their use and limit watering as soon as the canes begin to mature in late autumn. Repotting is best carried out after flowering, usually in late spring or early summer. If there are any keikis with well developed roots present, these can be removed with a sharp, sterile knife and potted up separately. Flowering. Soft-cane dendrobiums flower from nodes on the mature canes. Frequently the older canes lose their leaves prior to flowering but this is no cause for alarm, however if the canes begin to shrivel during winter, then the plant should be watered. A short inflorescence carrying a cluster of three to five flowers is usually produced from each flowering node. The attractive, colourful flowers sometimes last as long as two months if the plants are kept on the dry side. 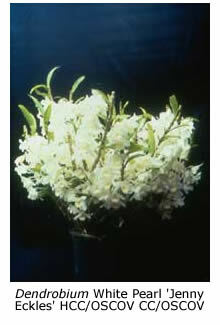 Cut flowers also keep well and can be used effectively in flower arrangements. Once a cane has flowered it will produce new canes from the base, eventually leading to the development of a specimen plant.